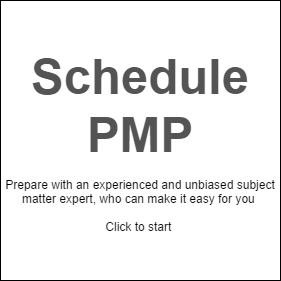 Yesterday I took my PMP exam and I cleared it. Thanks a lot for all the support you have provided through out. entire PMBOK at least once. The vast curriculum of PMBOK makes it very difficult to even start the study. With so many reference books available we can easily get lost in picking the right path for the certification. But your method clearly defines a path and if we just follow it we can easily not only get certified but also gain and improve on our Project Management knowledge. With your class and using Rita’s book as reference and answering all the question in the Rita’s book was more than sufficient to give the exam and clear it. Thanks a lot of all the help you provided.